The French group’s TV arm has proposed a joint venture with Telecom Italia to buy content rights. Building a media network that is able to compete with U.S. giants may trim Vivendi’s conglomerate discount. 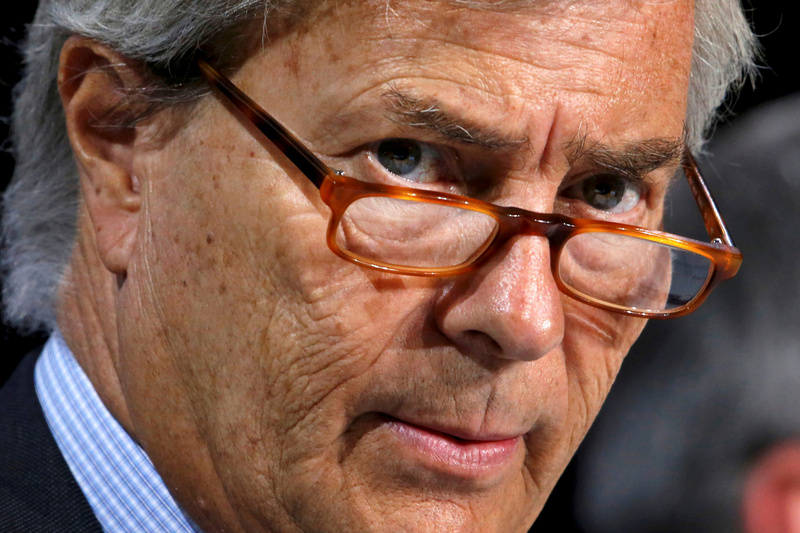 Vincent Bolloré will have to find more synergies to close the gap further. Vivendi's pay-TV unit Canal+ has proposed the creation of a joint venture with Telecom Italia to acquire audiovisual content rights and to produce films and TV series, Reuters reported on July 24 citing a source familiar with the situation. Vivendi, led by billionaire Vincent Bolloré, is the largest shareholder in Telecom Italia. Amos Genish, a top executive at Vivendi, will be appointed general manager at Telecom Italia, Reuters also reported on July 24, citing a source close to the matter. Telecom Italia said earlier in the day that current chief executive and general manager Flavio Cattaneo would leave both roles by the end of July. Telecom Italia shares were flat at 0.85 euros at 0915 BST on July 25. Vivendi shares were up 1.2 percent to 19.99 euros.